Apache HTTP server is an immensely popular cross-platform web server that’s used worldwide. It is a free, open source, powerful and can run on UNIX/Linux as well as MS Windows platforms. Notable features include the ability to allow the server to serve more concurrent requests due to Multi-Processing Module (MPM) and integrated proxy module support for the FastCGI protocol, asynchronous read and write handling, and major integration with different application/software, various modules etc. It also supports embedded Lua scripting. It’s not just a web server, it also works as a reverse proxy for other web servers. Official Ubuntu software repositories come with Apache and its dependencies. Hence, it’s simpler to update the system’s package index and then use the APT package manager to install the Apache package and its dependencies. Step 1) Launch Terminal and enter the following command to update the system. Step 4) It will ask “do you want to continue”. Type Y. Step 5) Normally Apache service should be started automatically. we can check apache status. Now try to reload Firewall again. It should work without issue this time. 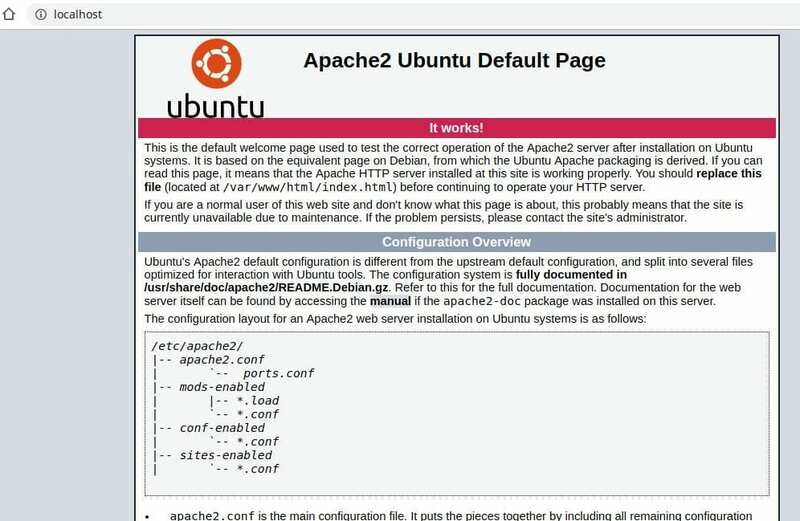 This is Apache default page and if you can see this it means your apache server is working well. Hope it worked well for you. Got any questions? Shoot below.